The chemicals that are used for cleaning are essential to maintaining a hygienic and clean environment whether for residential, commercial or industrial locations. The commercial cleaning chemicals that Alpha Cleaning Products provide are developed through scientific processes that are intended to improve the cleaning efficiency in related tasks. 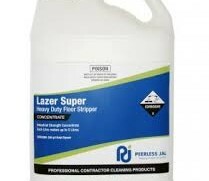 We provide our customers with a range of chemicals that include strippers, liquid cleaners, detergent, degreasers, floor treatment, carpet care and much more. 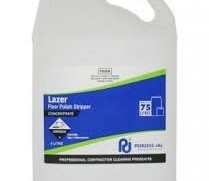 Our floor stripper is one of the best commercial cleaning chemicals that you can get right now. 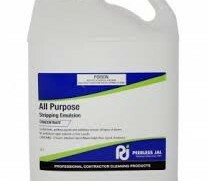 It offers an effective floor stripping emulsion that is made to be used regularly to get rid of acrylic floor polish and wax build up. The solutions that we offer can be diluted by adding 500mil to 1L of water or can also be used directly dependent on the buildup of unwanted substances. The floor stripper products we offer are ideal for stripping large areas and won’t dry up unlike others out there. This makes it an ideal choice for commercial or industrial use if needed. 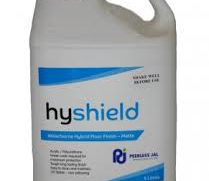 Our floor sealer finish products provide the best combination of hardness and durability for continuous traffic. They provide protection and high gloss finish on all resilient floors. There is a range of brands available at our online store for you to choose from depending on your needs. When you’re in need of an amazing finish that won’t give you as many post-burnished coats, our products will let you do the job with little maintenance afterwards. When it comes to commercial cleaning chemicals, none can top what Alpha Cleaning Products has to offer. 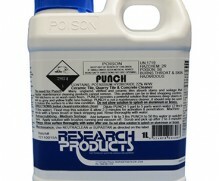 We provide our customers with a wide variety of chemicals that are safe, easy and of the best quality when used. If you’re in need of residential, commercial or industrial cleaning products today, be sure to check us out to find what you need!